These classic television comics know how to make us laugh. What better way to observe April Fool's Day than with this lovable loon played by Don Knotts? 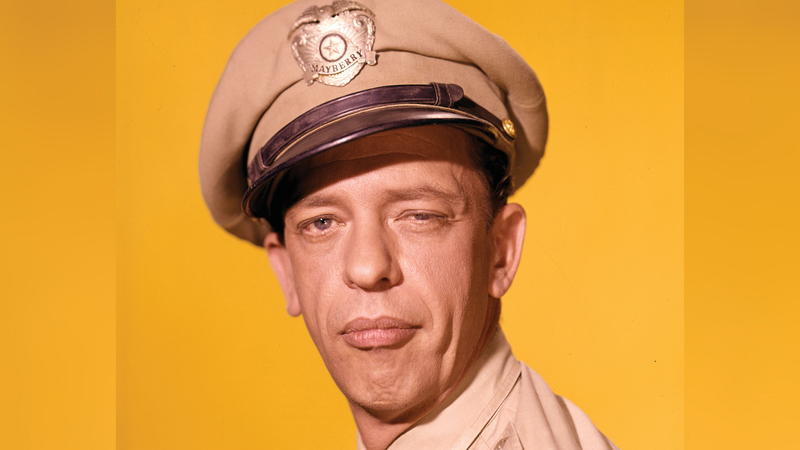 He may have not been the sharpest tool in the shed, but Deputy Sheriff Barney Fife—with his huge heart and ego to match—always left us laughing. The Andy Griffith Show ran on CBS from October 3, 1960 to April 1, 1968. Scroll through to see more of our favorite comedic CBS characters that still tickle our funny bone. Photo Credit: CBS Photo Archive/Getty Images.